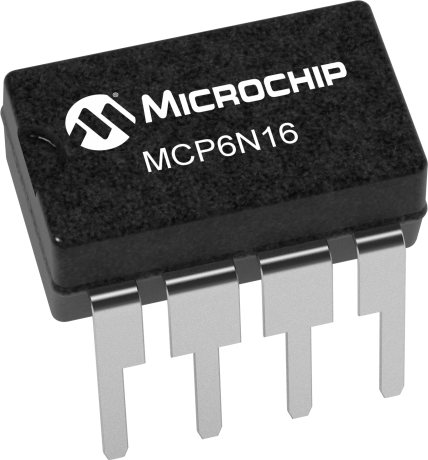 The MCP6N16 is a zero-drift instrumentation amplifier designed for single-supply operation with rail-to-rail input (no common mode crossover distortion) and output performance. The supply voltage range is low enough to support many portable applications. All devices are fully specified from -40ºC to +125ºC. Each device has EMI filters at the input pins, providing superior EMI rejection. This family has three minimum gain options (1, 10 and 100 V/V) in order to allow the user to optimize the input offset voltage and input noise for different applications.